(September 14, 2018) It's tough to believe that it has been 17 years since India Arie first broke on the scene with "Video." She's been a consistent force ever since, meshing the accessible and the ethereal, and usually providing music that made us think and smile. Without much advance fanfare, today India released a brand new single that her fans should dig. "That Magic" is song about a guy who has that something special that is tough for his woman to describe. Beginning with a simple bongo beat, the song opens into breathy background harmonies before Ms. Arie moves to the front with her recognizable, sweet vocals. It's a cool welcome back for an artist who we always love to hear. Check out "That Magic" below and enjoy India Arie. 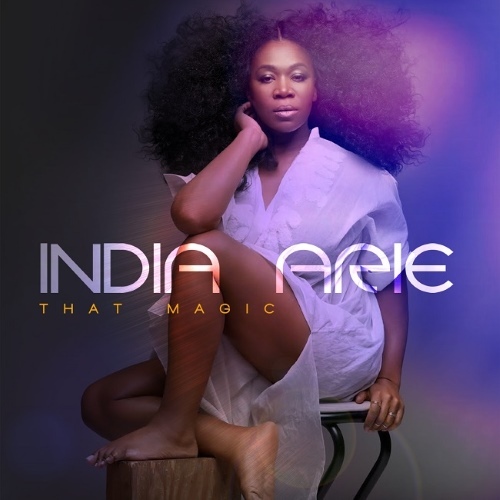 India Arie - "That Magic"